Starter company is a funding by provincial government of Ontario. If you’re starting, expanding or buying a small business, apply for training, mentoring and a grant through Starter Company Plus. If you are an Ontario resident and not attending school full time, you may be eligible to apply for funding of up to $5,000 to start or expand your business. You need to contribute 25% of the grant in cash or in kind. The SmartStart Seed Fund is an exciting new opportunity for Ontario’s next generation of entrepreneurs to access much-needed funding to take their start-up to the next level. This program is designed to support early-stage companies that are an academic spin-off that was created for the purpose of commercializing Intellectual Property (IP) developed from research conducted in an Ontario-based academic institution (university, college, and/or research hospital). This is unique funding for magazines and digital media products. Ontario Media Development Corporation offers funding in Ontario’s film, TV, magazine, book, music, & digital media sectors. The OMDC Magazine Fund supports the business development of independent Ontario-based magazine publishers. Funds are provided to assist in the growth of these businesses through the creation and implementation of new strategic initiatives that enable publishers to achieve business development and/or marketing objectives. If you’re looking to hire some students check out Canada Summer Jobs. Canada Summer Jobs (CSJ) is an initiative of the Summer Work Experience program. It provides wage subsidies to employers to create employment for secondary and post-secondary students. Again this year, Canada Summer Jobs welcomes applications from small businesses, not-for-profit employers, public sector and faith-based organizations that provide quality summer jobs for students. If you’re a more established startup Embedded Executive Funding Program might be for you. Embedded Executive Funding helps place a C-level or other senior-level executive with an Ontario-based technology venture to support achieving their next growth milestone. Ventures can receive up to $50,000 toward the cost of the Embedded Executive’s salary. ICTC is a leader in developing workforce solutions and delivering talent programs to enable Canadian businesses to access the right talent with the right skills needed to drive innovation and productivity in an increasingly competitive environment. There’s funding opportunity here for hiring youth. For undergraduate check out the Summer Company. Summer Company is an initiative by Ontario government to provide business training and mentoring together with awards of up to $3000 to help students start up and run their own summer business. Eligible candidates must be between 15-29 years of age and a student returning to school. MITACS provides post graduate and professor to work on a specific company project. Joule, the Canadian Medical Association’s newest company, is offering nine grants totaling $200,000 as part of its 2018 Joule Innovation program. Ontario Neurotech Entrepreneurs Program catalyzes early stage entrepreneurs to commercialize brain-related technologies by accessing funding and support to launch or grow their neurotechnology ventures. 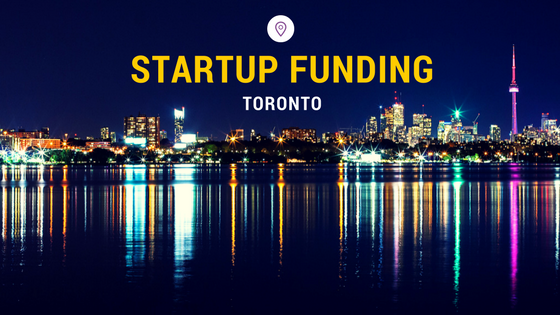 To see more startup funding opportunities in Toronto check it out here.